Taking green chemistry from lab to plant through: process intensification, energy and material conservation, creation of safe and economical processes. The word ‘chemical’ has always gained negative attention in the eyes of the public even when it enhances their lives. This is because of the side-effects it causes on the environment due to pollution and toxicity. Commodity chemicals: Chemicals that are used by other chemical industries before becoming a consumer product. These are produced at huge scale. For example, petrochemicals produced in a refinery such as olefins and aromatics go on to become polymers. Fine chemicals: Starting materials for speciality chemicals. These are of very high purity and are produced in limited quantities. Hence these are low-volume, high-value products. Speciality chemicals: Pharmaceuticals, Dyestuff and pigments, flavours and fragrances, speciality polymers, catalysts and enzymes, food additives. These are consumer products. Renewable energy: Biofuels such as ethanol, biogas. Unit operations involve physical separation of products that are obtained from unit processes. While unit processes involve chemical conversion of substances. Note that these processes overlap i.e. they are interrelated. For example: Evaporation is both a heat transfer as well as a mass transfer operation as it involves the transfer of both heat and mass. Chemical processes are capable of eliminating the pollution and toxicity that is caused by it. But how? Paul Anastas and Julie Zimmerman developed 12 principles of green engineering. These can be found in Env. Sci. and Tech., 37, 5, 94A-101A, 2003 or at ACS. These are similar to the 12 principles of green engineering because Chemistry and Chemical Engineering are interdependent on each other. Both of them can be viewed side-by-side here. Green chemistry is the design of chemical products and processes that reduce or eliminate the use and generation of hazardous substances. Whereas, green engineering is the development and commercialization of industrial processes that are economically feasible and reduce the risk to human health and the environment. Efficiency of the process: It should be efficient in all respects – energy or water efficient for example. Safety of the process: It should be safe to carry out throughout its production line. Financial feasibility of the process: If it is not profitable, it won’t work out. Integrate Material and Energy Flows: Design of products, processes, and systems must include integration and interconnectivity with available energy and materials flows. Optimization of heat is crucial for energy savings. Energy savings mean fuel savings. Fuel savings mean less greenhouse gas emissions. Pinch Technology provides such a thermodynamically based optimization methodology for energy saving in processes. Renewable Rather Than Depleting: Material and energy inputs should be renewable rather than depleting. Some unit processes/operations require heating. But what if energy comes from a green source? Energy required to heat a process is called as ‘Process heat’. It is often sourced from fossil fuels. A greener option in this case would then be a solar collector that can collect heat to be supplied to the process, termed as solar process heat. Cogeneration or combined heat and power (CHP) is another technique to save energy. In this, the heat engine or power station simultaneously generate electricity and useful heat. Some unit processes/operations require cooling. A major coolant in the chemical industry is water. It is used in large cooling towers. It has to be treated and reused since it can be contaminated with chemicals it comes in contact with. These chemicals could also be entrained by surrounded air and cause airborne emission problems. For this purpose, drift eliminators are used – an air pollution control measure. Inherent Rather Than Circumstantial: Designers need to strive to ensure that all materials and energy inputs and outputs are as inherently nonhazardous as possible. A part of my Masters thesis involved catalytic transfer hydrogenation. It is the transfer of hydrogen atoms from a donor reagent to a substrate under catalysis. It is supposedly the safest way to carry out a hydrogenation reaction. Hydrogenation reaction is one of the deadliest of all reactions since it involves hydrogen gas. Hydrogen gas is very light and diffuses into the air very quickly. It is highly flammable too. Not a nice combination. It not only catches fire but spreads wildly. Transfer hydrogenation on the other hand doesn’t require hydrogen gas, it just needs the donor reagent. I think the reason it is not so good to scale-up is because it would need change in existing infrastructure and that comes at a cost. Another example of safer engineering is eco-friendly coolants. Transformers made it possible for electricity to reach long distances without huge losses. Polychlorinated biphenyls is a banned coolant fluid that was used to cool these transformers. Efforts have been made to produce greener coolants. In 2013, Cargill won the Presidential Green Chemistry Challenge Award from the U.S. Environmental Protection Agency (EPA) for developing Envirotemp™ FR3™, a eco-friendly coolant. It can be used in high voltage electrical transformers. Meet Need, Minimize Excess: Design for unnecessary capacity or capability (e.g., “one size fits all”) solutions should be considered a design flaw. Effluent treatment plants (ETP) often are of the ‘one size fits all’ kind. We call them Common Effluent Treatment plants (CETP). 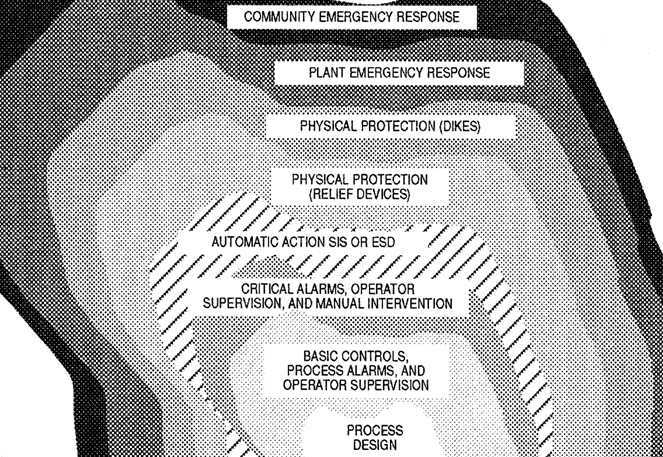 Instead, each plant can have its own ETP. Individual ETPs are more efficient than CETPs. Design for Separation: Separation and purification operations should be designed to minimize energy consumption and materials use. Separation and purification operations allow us to recycle materials. To make these operations as energy efficient as possible is therefore necessary. As we know that Pharmaceuticals industry produces highly pure products. Moving bed bioreactor (MBBR) systems are a type of biological treatment that may be utilized in pharmaceutical wastewater applications. Prevention Instead of Treatment: It is better to prevent waste than to treat or clean up waste after it is formed. Ultrasonication is another part of my Masters thesis. I basically bombarded a flask of chemicals by ultrasound. In this way, I was able to carry out the reaction without a solvent and at room temperature. This was opposed to previous attempts to carry out the same experiments that used solvents and higher temperature and pressure. As far as industrial applications of ultrasonication are concerned, a company called Industrial Sonomechanics has created industrial scale ultrasonic reactors. Maximize Efficiency: Products, processes, and systems should be designed to maximize mass, energy, space, and time efficiency. Microreactors, reactors with dimensions of about 5-100 ml, can run reactions that are not possible to run at large scale. These reactions are often explosive or hazardous in nature. Such a technology when scaled up can lead to material-efficient, energy-efficient as well as safe way to carry out reactions. To solve these problems, one may use solvents. But then the product obtained would still be in a diluted state. This is why we need separation. With increase in the number of water-stressed regions such as India, the need for water purification is more than ever. Equally important are small scale and the large scale water purification systems. Small scale systems include the portable water purification systems such as SODIS that uses solar energy to disinfect disease causing biological agents or a homemade waterfilter. Disinfection is one of the many steps involved in the purification process. Large scale systems includes an array of processes such as pre-treatment, sedimentation, filtration, disinfection, desalination and many more that require bigger assemblies. Recently, DOW Technology helped the Largest Desalination Plant in Spain operating with pressurized ultrafiltration to deliver freshwater for municipal use. Ultrafiltration is one of the advanced separation processes, which is a type of membrane filtration. Apart from water purification, such systems are used in industry was various reasons. Ultrafiltration is used for concentrating target molecules, clarification needed in wastewater treatment processes, desalination such as that used in the plant in Spain or for fractionation of peptides in dilute samples. In a chemical industry or a chemical laboratory, separation processes are required before and after each stages. For example, before entering the system, the raw materials are purified. After reaction, the process may give out materials in different phases -gas/liquid/solid. These have to be separated so as to reach the recycle stream and the effluent stream. The effluent stream again has to undergo recovery of certain substances before it reaches the environment. Treatment of industrial waste is growing evidently stringent as time passes by. This requires such separation processes which aid pollution prevention. In fact, the entire waste water treatment mechanism is based on physical separation of effluent entities. Solar energy can not only be transformed into electricity, but process heat in a chemical industry. Converting solar energy into heat is not new. Solar cooking is one such application. The world’s largest solar cooking system, designed by Gadhia Solar Energy Systems Pvt. Ltd., is functioning at the Shirdi temple, where a solar cooked lunch is served to over 50,000 people per day. It is not just India, but this technology is used worldwide. Nanoheaters really boggled my mind the most.